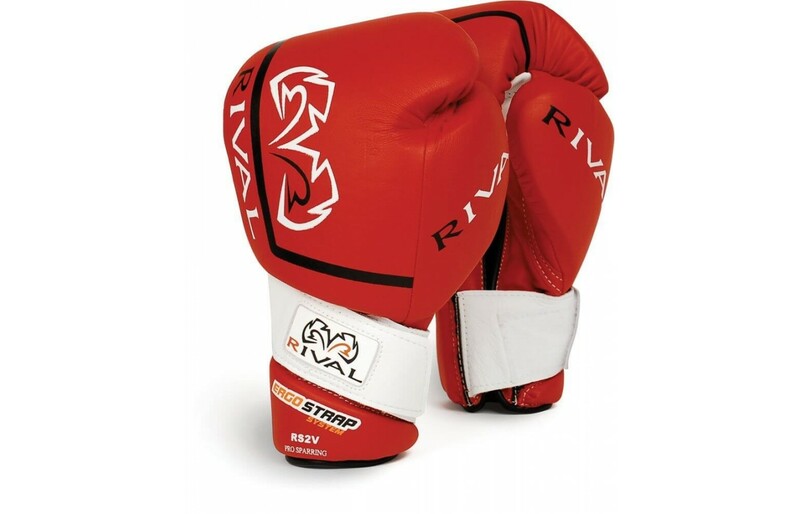 Rival is known for designing extremely high-quality boxing gloves among various other things. These gloves offer their wearer a high level of impact resistance and reduce the feeling that the wearer has when landing a hard power cross or a massive uppercut. The glove features powerful Velcro strapping on each wrist that works to provide the wearer with a decent level of protection for the strain on that portion of their body. Rival is known for producing equipment that goes above and beyond the expectations that the wearer may have for them. Their fantastic quality is why their gloves and overall equipment or highly sought after for wear during sparring, or the other typical gym uses; things of this category would pertain to heavy bag work, mitt work, or sparring. These gloves are designed to provide the wearer with a solid level of protection in various areas of the sport. 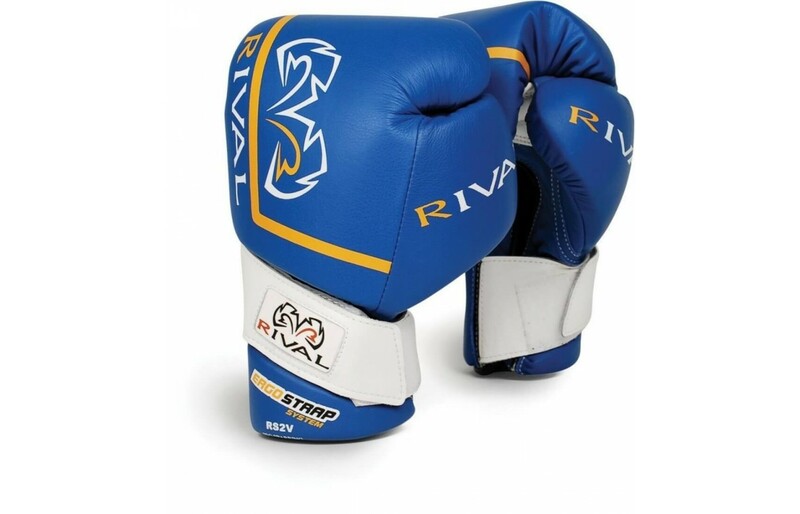 Rival fitted their High-Performance Boxing Gloves with double strapping on each individual hand that allows the gloves to provide the wearer with a decent level of resistance from possible strain when punching using the glove; this is doubly important because of the fact that punching at the wrong angle has the potential to do deal some serious damage to one’s hand. The padding in the glove is above superb; Rival did an amazing job with this. The glove has ample padding on each individual knuckle that allows the glove to protect the wearer from injury while also preventing them from feeling the effects of the punch that they are throwing; It’s extremely shock absorbent. The double strapping on the gloves also reduces the possible looseness of the glove, which is something that has the potential to deal some serious damage to the wearer when punching as well. 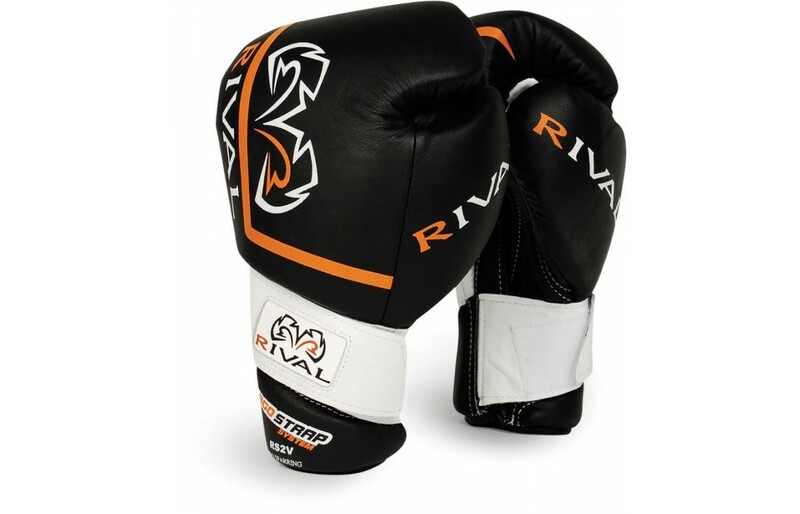 Rival is known for making incredibly high-quality boxing gloves. The glove is made in such a way as to prevent stitching from coming loose; this is another thing that is pertinent to the design of a boxing glove. The gloves are made from a very high-quality leather material that allows them to last for a relatively long time without tearing or wearing down; the leather that the glove is designed from comes from a very high quality and should be noted solely because of the fact that some gloves have designs that rip rather easily and don’t provide the wearer with a long enough period of use. The strapping on the gloves is also something that should be noted; it isn’t the stretchy strapping that various other gloves are designed from. Rather, the lacing on the wrist of the gloves provides the wearer with a snug fit without sacrificing anything in terms of quality. The gloves have a design that is slightly typical of the majority of boxing gloves; the gloves have a design that allows them to provide the wearer with a snug fit while also giving the wearer a bit of aesthetic appeal when worn in the typical arena. The cut of the gloves is rather thin and makes the cushioning present throughout seem rather apparent; this isn’t a bad thing considering the fact that the material still provides the wearer with a comfortable feel while in use. The use of the leather material on the outside of the gloves makes them seem a bit on the higher class solely because of the materials innate aesthetic appeal. Aside from this, the gloves function rather well and appear to be of a professional-grade, something that isn’t completely necessary but gives the wearer a bit of an edge. The gloves also come in a variety of colorways; this by itself gives the wearer a decent level of variety in their choices. Other than the Velcro strapping that is usually seen in this model of the gloves, Rival also created a higher end model that has lacing; the addition of lacing allows the wearer to achieve a fit that is much snugger than that achieved by the initial model. These gloves fit the wearer wonderfully. The double strapping that is around the wrist of the gloves restricts movement in that area and prevents the gloves from coming off of the wearer’s hands while in use; the strapping is also ergonomically designed to fit around the wearer’s hand at an angle so as to provide the wearer with ample wrist support. The cushioning that is found throughout the glove provides the wearer with a great deal of comfort as well and compliments the wrist strapping in its efforts to fit snugly on the wearer’s hand. Unlike various other gloves, the cut of these gloves is rather natural and conforms, rather easily, to the curves of the wearer’s hand. The design of the Rival High-Performance Boxing Gloves is one that is meant to provide the wearer with a fair level of comfort while in use. The gloves have a fair level of padding in place throughout that reduces the impact felt while the gloves are in use; the knuckle portion of the gloves is very shock absorbent in this way. The comfort provided by the padding in these gloves is also superb; one barely feels anything. The support provided by the wrist enclosure also does its part in providing the wearer with a comfortable overall use; the feeling of knowing that the glove is on tight and won’t come off during use is one that provides the wearer with a great deal of security during use. The cut of the gloves themselves is also form-fitting; the curves of the glove, such as the ones in the thumb area and the grip bar, are the reasons for this. One thing about these gloves is that they are a bit higher priced. The Rival High-Performance Boxing Gloves are on the higher quality side of gloves which explains the fairly decent rise in price and reduction in pocket size that comes with them. The entirety of the design is one that allows the wearer to derive a fair level of value from their purchase of these gloves. The stitching in the gloves is done rather nicely and doesn’t come apart with a few uses of the gloves. On top of this, the leather make of the gloves allows them to provide the wearer with a decent level of longevity with thorough use of the glove. Aside from this, Rival also designed a model with lacing that works to secure them in place; this model of the glove is a bit on the more expensive side of things. The price difference between the 2 variations of the glove isn’t much though. Rival High-Performance Boxing Gloves are designed by, yes you guessed it, Rival. Rival is boxing gear developer which is based primarily in Canada. They develop gear in various parts of the Boxing space that I extremely high quality and can handle a decent level of pounding without causing the wearer any grief. Rival is known for delivering innovative products to the marketplace that provide protection for the wearer in new and, a bit more creative ways. Recently, they began to redesign their line and have been working on newer products that are a bit more aesthetically and technically appealing. They have products that have been featured in various fights with professional boxers, which makes their gloves a professional grade boxing glove. The gloves are made out of high quality and durable materials that work to provide the wearer with a fair level of comfort and durability while in use. The outer portion of the glove is fashioned from a leather material that works to augment the shock absorbing effect of the gloves as well as provide the wearers with a decent level of longevity during use; the material itself allows this primarily because of the thick cut of it that it throughout the glove. The strapping that is featured in the gloves is designed from a Velcro material that also works to provide the wearer with a fair level of durability and value while in use. Unlike the use of synthetic materials that most other gloves these days have, this glove is designed from a full-grain leather as well. There is also a plethora of padding in place throughout the design of this glove. The expensive aspect of this glove would make one wonder whether or not it would always step up to the plate and provide for the wearer when they needed it; in short, they do. The gloves strapping allows them to work relatively well for extended periods and rarely comes loose during use, something that is a completely necessary feature in a boxing glove. Much like the durability aspect, the gloves don’t rip very easily because of the high-quality leather that was used in their design, and they provide the wearer with a sense of longevity that allows them to be worn for periods extending well beyond a year. The padding in the glove will work just fine for that period as well and provide the wearer with a cushioning effect for that time as well. Even in environments that experience high levels o humidity, the gloves hold up relatively well; this is surprising since the gloves are designed from a leather material. The gloves are designed for boxing use. One look at the knuckles on the gloves and the padding that is present can show this. The sport itself originated in England and is typically a punching sport. The objective of the sport is that two people will throw punches at one another for a certain length of time. Unlike Muay Thai and several other multiple contact physical sports, this sport is one that only requires that the wearer have two points of contact, which are the fists; there are variations of boxing such as kickboxing though. The glove is cushioned enough to be used for sports that involve a decent amount of kicking though; they have a decent level of padding in the backhand so that the wearer can comfortably block various types of blows. These gloves come in the traditional weight classes for boxing gloves; they can be found in 10 oz all the way up to 16 oz. The weight that one chooses for their boxing endeavors is doubly important because it directly affects your ability to perform during your chosen activity. For example, if one is looking to do a bit of heavy bag work, they should choose a glove that has a bit more weight to it such as the ones from the 12 oz range on up. For the sparring activities, one should seek a glove that has less weight to it such as the ones that are below oz; Just something to consider. Another thing t pay attention to when choosing the weight of the glove is the added weight taken in from the absorption of sweat into the design. Overall, these gloves are wonderfully made; they have high-quality materials that are in place throughout and allow the wearer to retain a high level of functionality while worn. The feel of the glove is wonderful; they are highly cushioned and the use of the Velcro strapping in the design allows for a decent overall feel to be achieved by the wearer. When punching, the gloves provide the wearer with a decent level of comfort and protection which is something that is doubly important for those who are seeking a glove for use on the heavy bag. The price of the glove is somewhat justified by the materials that are in place throughout the design such as the leather and the high-quality Velcro strapping. Rival did an amazing job with the design of these gloves and should continue to do so.